Fall 2014: As a part of my Narrative/Self-Writing Unit with my Mason City High School 10th graders, I wanted students to be comfortable writing about themselves, so I decided to create a comic activity, one that would bridge the gap between writing and drawing, while also bringing in some creativity. 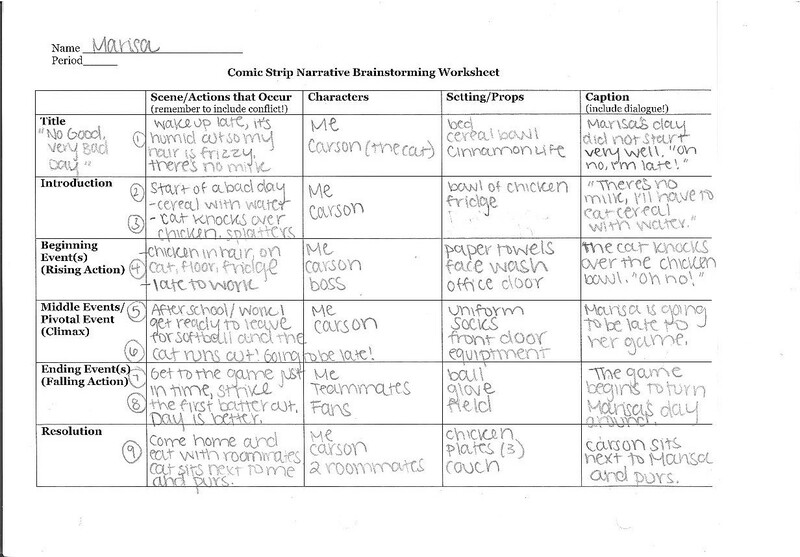 Then they were to brainstorm, as a class, different events in their lives in which to write a comic-story about. **This was the first self-writing activity I made for the class, so I created a Parent/Guardian Letter to send home, advising parents/guardians that students would be writing about their personal lives. Then they were given a Comic Template to use as their comic strip. I also provided the students with my personal examples that they could reference in creating their own comics. These were shown on the board, printed, and accessible online. Here is a preview of my sample. The full version can be viewed/downloaded here.